Varun Sharma, Pooja Bedi,Bakhtiyaar ,Tanaaz Irani,Baba Sehgal spotted at the Tamil food Festival in Mumbai. Mumbai is a food lovers paradise with an amazing line up of restaurants and fine dining places,cafes , night clubs and new ones with very niche cuisines mushrooming everyday!The choices for international food are abundant but there are very few places that can go for an authentic tamil meal..To fill this gap, Neha Kannan ,wife of Renowned TV and Radio Host Siddharth Kannan curates authentic tamilian feasts called ‘Virundhu’! The one hosted by her at WTF,Versova saw a large turnout of celebrities and authentic food lovers! Pooja Bedi,Divya Dutta,Kirti Khullari,Baba Sehgal,Shama Sikander & her beau James Milliron,Bakhtiyar & Tanaaz Irani,Raghav Sachchar & his wife Amita,Holistic Health and Fitness Guru Mickey Mehta,Fukrey Lead Varun Sharma,politician Shalini Thackeray amongst other celebrities from the entertainment & corporate world were present who relished Neha’s delicacies. Baba Sehgal infact did a video praising Neha’s cuisine through a rap song. The thali meal of 6 starters and 8 main course items was enjoyed with great gusto.The use of coconut ,tamarind,herbs & spices typical of Tamil Nadu..The rarely seen Adai dosa, Avial:a stew and Sundals -both vegetarian and prawn Sundals were items that were much appreciated! Neha is a Marwari, born and brought up in Chennai, married to a Tamil Brahmin.She has a degree in hotel management and a wide range of work experience including at the Marriott Hotel , Flurys Kolkata,Greek Italian and Lebanese restaurants. She curates authentic Tamil Nadu meals with great insight and delight! Makes sure that her guests taste different flavours and textures. 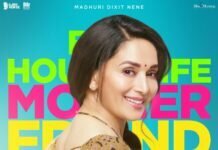 Previous articleShaadi Mein Zaroor Aana to release on 10th November, 2017! Next articleKriti Kharbanda gifts herself a swanky car! Sooraj Pancholi to move in with his parents! Rekha Rana’s remake of ‘Naa Tum Humein Jano’ becomes a hit. Hindi film Hotel Milan releasing on 16th November all over. MTV Spitsvilla’s 10X Constant Divya Agarwal, the National Crush of India! Never miss an update. We are wherever you want us to be. 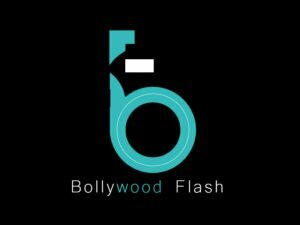 BollyWood Flash is your news, entertainment, music fashion website. 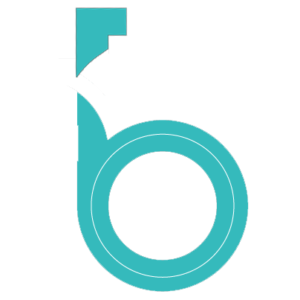 We provide you with the latest breaking news and videos straight from the entertainment industry. Nidhhi Agerwal makes a dazzling debut with Munna Michael!